Bullpen Series — Strike Brewing Co.
Our Bullpen Series is how we try out new flavor ideas. Brewers Ryan Bridge and Drew Ehrlich dive into new and classic ingredients to produce unique recipes with big flavors. We brew our Bullpen Series beers in Sparky, our trusty 20-gallon test batch system at our warehouse taproom. We brew them frequently (almost every week!) and they can be enjoyed at the taproom. We do package up an ultra-limited number of kegs and cans to share across California. If you see it, get it because they never last long. Check back here to see what new ones get added. And if you’re visiting the SF Bay Area, be sure to stop by! Shield your eyes! Lost in the Sun is a bold, aromatic Double IPA that was assertively double dry hopped with Mosaic, El Dorado, Citra, and Ekuanot. Our expressive, fruity yeast wonderfully compliments the ripe melon and grapefruit character of some of our favorite hops. The holiday season is upon us! 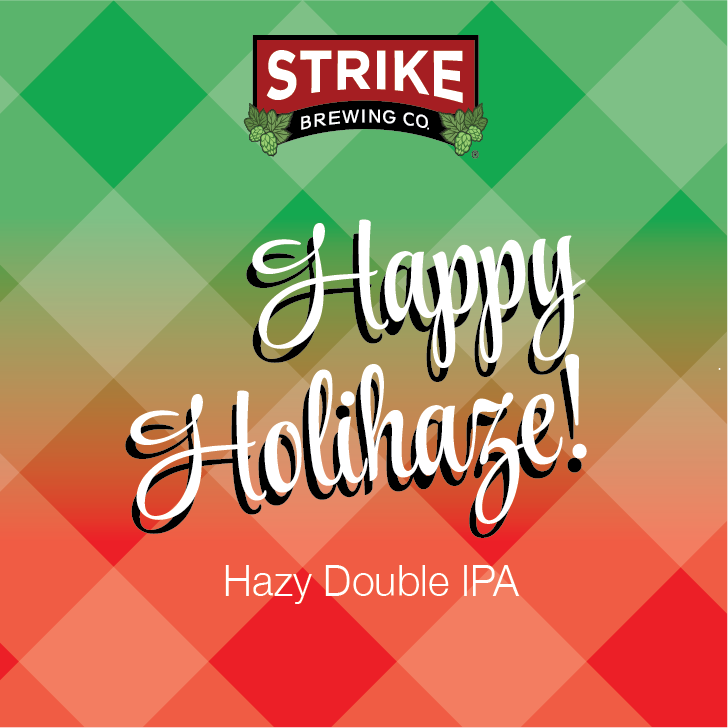 Celebrate by sharing a pint of Happy Holihaze with your friends and family. This incredibly aromatic Hazy Double IPA is brewed with Mosaic, Simcoe and El Dorado for extreme tropical fruit juciness. Kveik is a yeast, or blend of yeasts, traditionally used to brew Norwegian Farmhouse Ales. We were lucky enough to get our hands on a particular strain that creates wonderful fruity character when fermented at warm temperatures. Old meets new when this farmhouse base is hit with a massive dry hop of Citra, Simcoe, and Loral, creating wonderfully complex tropical fruit flavors. Don your party hats and celebrate the New Year with a pour of Hazy New Year! This Hazy IPA is brewed with loads of white wheat and flaked oats then dry hopped with Simcoe, Citra, and Callista. Berry and melon hop character blend with fruity yeast esters to create a wonderfully aromatic and flavorful brew.